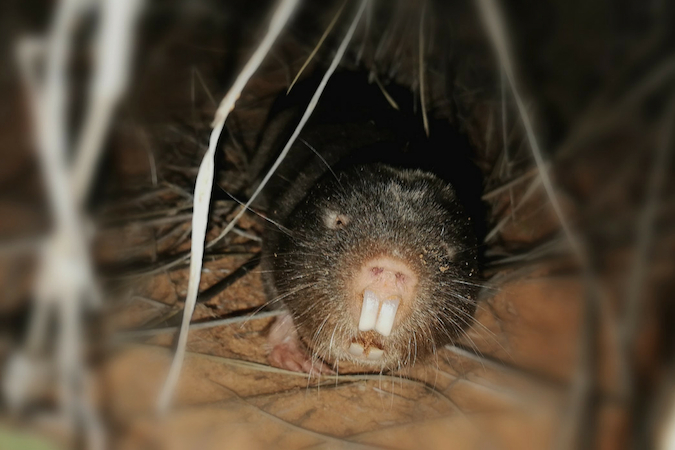 This curious little mammal has no external ears, but its incisor teeth are large and prominent. The lips meet behind the incisors and the mouth opening is small which prevents sand from entering the mouth. They appear to feed almost exclusively on the succulent, underground organs of plants, in particular the tubers of the gemsbok cucumber and the bulbs of the Dipcadi gracillimum. They usually consume the entire tuber of young plants but just the outer bark of older tubers. In the winter months they can sometimes be seen above the ground at Tswalu, excavating their tunnels and creating little red mounds as a result. 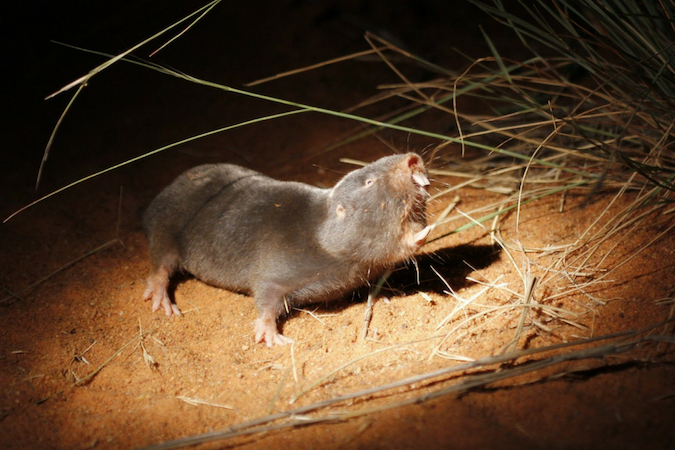 The Damaraland mole-rat – like meerkats, African wild dogs and white-browed sparrow-weavers – make use of hierarchical systems with an alpha male and female leading the family. This strong form of leadership is extremely successful in a tough environment. The rest of the family acts as a support unit, respecting the alpha pair’s orders and working successfully together as a team with a group-orientated goal. They are a fantastic example of how animals survive in this tough ecosystem by using teamwork, family units and partnerships. And they are living testimony to how organisms are forced to adapt in order to survive in the arid Kalahari.